Total experience in Real Estate of over 65 years combined! We are the owners of Riverside Realty Associates. We are Brokers in Massachusetts and Rhode Island. We Specialize in Residential Homes. 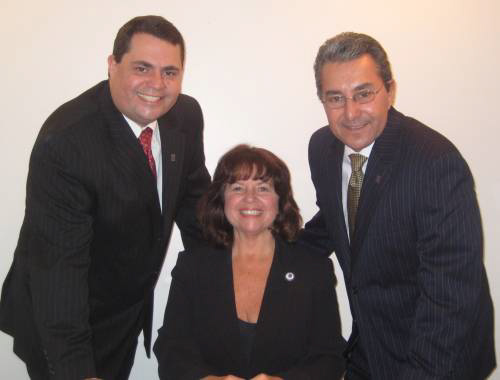 All three of us are presently serving positions on the local Fall River Board of REALTORS, We are members of National Association of Realtors. The three of us have had the honor of being named REALTOR of the YEAR for our Board of Realtors. Strong believers in Education. We attend seminars and classes that help us to stay informed of any changes and new advancements in our industry. Leader in using up to date Real Estate Technology. We are very involved with the Somerset Historical Society. Bill is presently on Board of Directors. We Share A “Get By Giving ” philosophy. Family owned business. Bill and Melanie and Matthew are all full time agents. Dedicated to our profession and committed to a standard of Honesty and Respect for our Clients. We Share our Beliefs and Commitment with all our agents.